Where the hell has this Francisco Liriano been? You know, the dependable middle-of-the-rotation guy playing for the Pittsburgh Pirates who's currently holding down a 2.23 ERA? How'd this happen? This Francisco Liriano looks vastly different than the one in recent years. In 2011 and 2012, Liriano's ERAs were bloated monstrosities over 5.00, and his BB/9 was also near 5.0. The guy was an control-deprived suckfest. (Yes, he threw a no-hitter in 2011, but a no-hitter isn't everything.) How'd he turn it around this season? Apparently, he fiddled with his delivery during rehab, his fastball velocity is excellent, and he has slashed his walk rate, indicating a better sense of control. Those adjustments have contributed to his stellar stats. Out of 14 starts, only three have seen the lefty allow four or more earned runs. 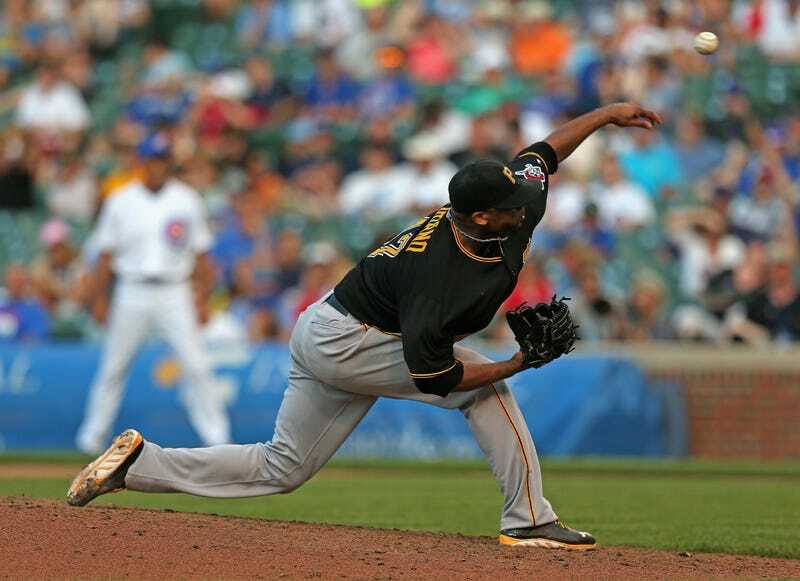 Liriano's only pitched over seven innings twice—a complete game against the Cubs and his latest start, in which he pitched 7 2/3 innings against the Nationals, striking out eight while allowing only two hits and three walks—but overall, he's producing lines that make it easy for the bullpen to shut the door. Granted, these numbers are out of 88.2 innings pitched, but if the Pirates can squeeze even 130 innings out of him this season, that's one less worry. Liriano's a low-risk investment that rewarded the Pirates; they gambled on him this past offseason with an interesting deal. As of now, Liriano's on a one-year, $1 million contract, but there's a 2014 club option along with incentives depending on time spent on the DL for a broken non-throwing arm suffered while scaring his kids. The timing of Liriano's revival could not be better. Unless he literally explodes on the mound during the remainder of this season, the 29-year-old should be able to either earn a higher salary from the Pirates next season or a possible multi-year payday from another team. With one relatively cheap contract, the Bucs acquired a superb rotation piece and gave a once-promising pitcher the chance to resuscitate his career.